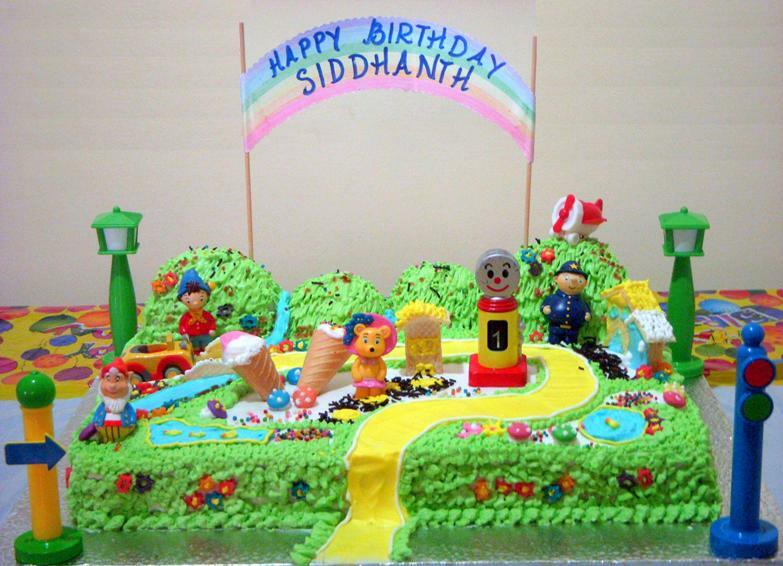 When Siddhanth (Sid) turned four, Sumi decided she wanted a theme party for her son’s Birthday. Since Sid is a BIG Noddy Fan so she decided upon a Noddy theme for the party. 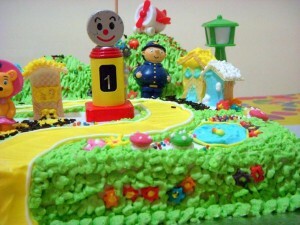 Once the theme was decided next came the cake, one option was to bake a Noddy cake, but then we thought, why only Noddy? Why not, the whole of the Toyland with Big Ears, Tessie Bear, Mr Plod and rest of gang :-).So, let’s” make way for Noddy” , for the cake was gonna be “THE TOYLAND”. With just a day to go for the party, we had to hurry up. Sumi took up the decorations….Room was done in red and blue balloons and steamers, Noddy face masks were printed for the kids, invites were sent with request to follow red and blue theme. 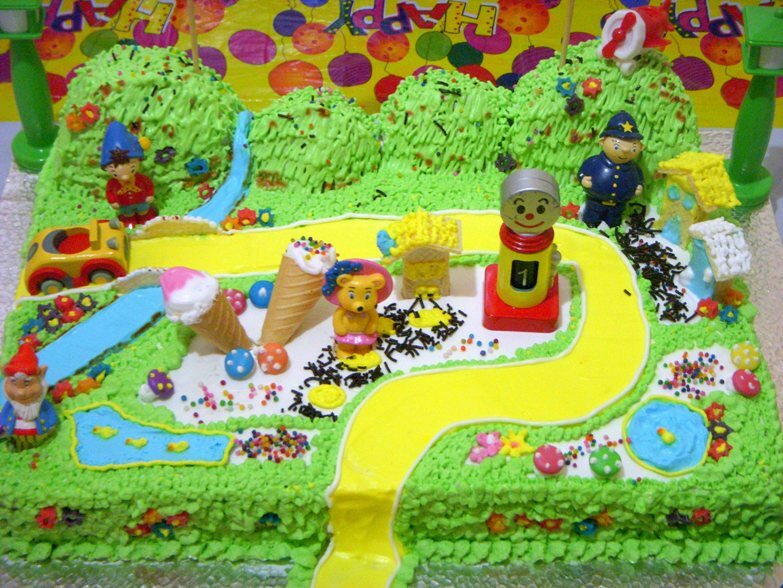 Fresh Pineapple cream cake was the base for the Toyland cake. The cake was complete with the mountains in the backdrop, a stream flowing through it, bright yellow road for Noddy’s little car. Miss Pink Cat’s ice cream cones stood proudly in the centre. Houses were made of wafers and mushrooms of gems. To complete the picture toy Noddy, Tessie bear Mr Plod and Big Ears were added. Wow! 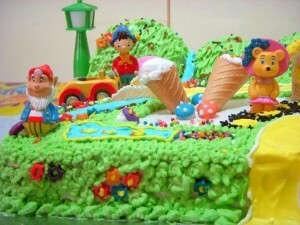 The best was ten pairs of twinkling eyes, when the kids saw the cake. Hurray!! They just loved it.